A Tulsa area native, Dr. Varnell received his bachelor’s degree in biology from University of Central Oklahoma in 1998 and his medical degree from the OU College of Medicine in 2002. After medical school, Dr. Varnell completed his residency at the University of Missouri – Kansas City Department of Surgery. 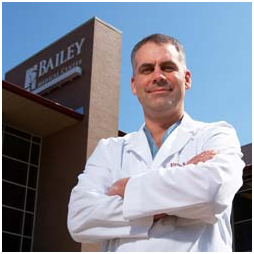 Dr. Varnell completed a fellowship at the University of Nebraska Medical Center that focused on minimally invasive surgery and advanced laparoscopy techniques. His special interests are the treatment of patients with Gastroesophageal Reflux Disease (GERD), laparoscopic colon surgery and bariatric surgery. 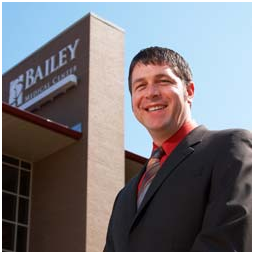 Dr. Varnell is the Bariatric Surgical Director for Bailey Medical Center and specializes in Bariatrics. A native of Sallisaw, Oklahoma, Dr. Cole graduated from Northeastern State University in Tahlequah, where he majored in chemistry. He earned his medical degree in 1993 from the OSU College of Osteopathic Medicine in Tulsa. Dr. Cole completed a traditional internship and residency at Tulsa Regional Medical Center and was active in the practice of family medicine for eight years. He served for two years as chief of aviation medicine at Reynolds Army Community Hospital at Fort Sill. Dr. Cole joined Surgical Associates in 2005 and is active in all aspects of bariatric surgery. A native of Sioux City, Iowa, Dr. Katsis moved to Tulsa in 1984 to attend Oral Roberts University. Following graduation, he attended the University of Nebraska College of Medicine, where he received his medical degree in 1993. He returned to Tulsa for his residency in general surgery at the OU Health Sciences Center. Dr. Katsis completed fellowship training in trauma and surgical care at the University of Tennessee-Memphis College of Medicine. His fellowship was conducted at the Elvis Presley Memorial Trauma Center in Memphis, one of the busiest trauma centers in the nation. Dr. Katsis specializes in bariatric surgery.